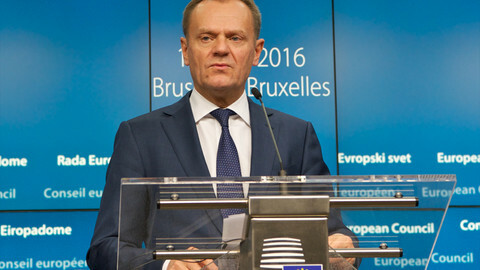 [UPDATED 25 June at 14.20] "What doesn't kill you, makes you stronger," European Council president Donald Tusk said on Friday (24 June) about the uncertain situation that the EU faced after the UK voted to leave the bloc. There is no handbook on how to become stronger after such an unprecedented event, but EU leaders meeting on Tuesday and Wednesday (28-29 June) in Brussels will be under pressure to provide some answers. The official advised against trying to pretend that everything is under control. "The worst thing to do would be to say [to Europeans] at the summit: ‘We hear you. We have the solution", he said. A source in one member state told EUobserver: “It will not be easy to find a common position. But at the same time, once we start the discussion, we cannot afford to have an inconclusive summit with no message." The soul-searching on how to respond to the departure of a major member state and to popular mistrust in the EU will have to address two questions: who leads the way forward and in which direction. 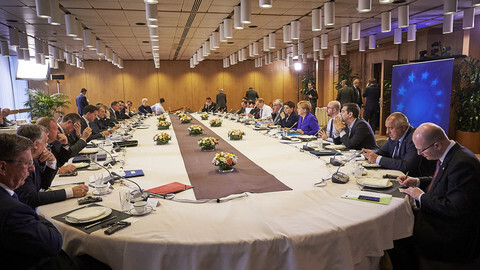 EU and foreign ministers who met in Luxembourg on Friday to prepare next week's summit had a brief exchange of views and left deeper talks to leaders. A meeting on Sunday with the sherpas - the leaders' EU advisers - and EU ambassadors from the 27 countries that are left in the union will give a better indication of where the talks are headed. But European leaders "don't have an answer to all the questions that have arisen”, German foreign minister Frank-Walter Steinmeier admitted on Friday. On Saturday, Steinmeier met in Berlin with his counterparts from the other five EU founding countries - France, Italy, Netherlands, Belgium and Luxembourg. 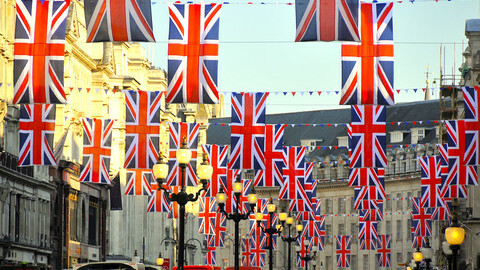 The six ministers met several times in spring to prepare post-Brexit scenarios. But their actions have prompted the question whether it would be best to present a six-country proposal on EU reform or to involve all 27 countries at every step. "It's not time for an initiative at six. It would be better at 27," another EU source told this website. 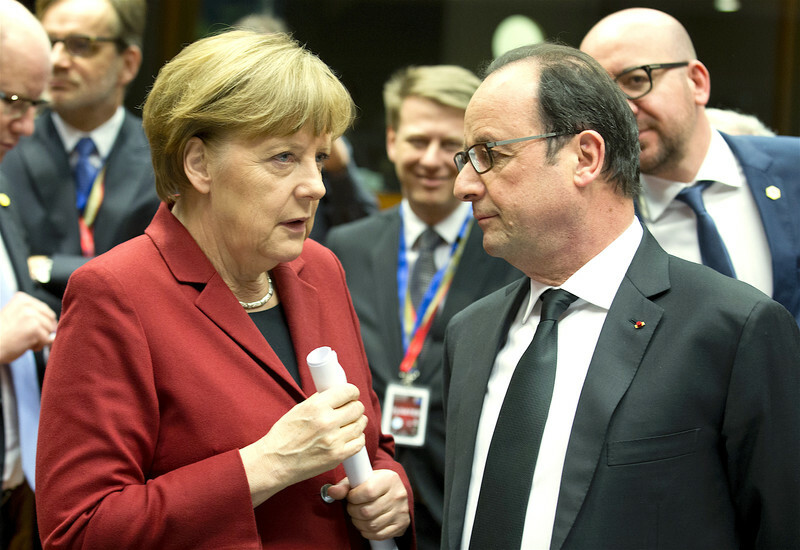 As often in EU history, many people are looking to the bloc’s so called Franco-German motor. 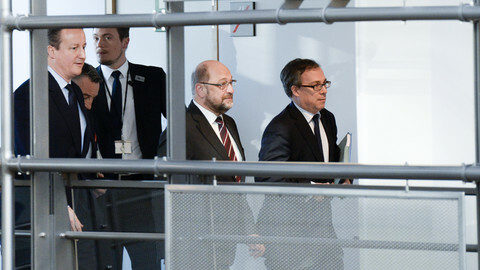 "I expect Germany and France to take a very clear position, so it is clear and obvious to everybody that this situation of uncertainty that we're in now cannot last too long," European Commission president Jean-Claude Juncker said Friday. French president Francois Hollande, who spoke on the phone with German chancellor Angela Merkel early on Friday morning, said that he was ready to take the initiative. 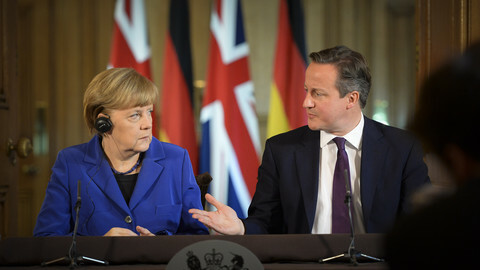 Merkel sounded more cautious, urging EU leaders to "remain calm and composed." "We need to make a composed analysis and decisions," she said. The chancellor, who has emerged as the pace-setter of EU reform, also warned that to jump to "quick and simple conclusions" from the UK referendum could “further divide Europe”. Hollande and Merkel will meet on Monday in Berlin and will be joined by Italian prime minister Matteo Renzi and the EU’s Donald Tusk. "We'll see what France and Germany bring in the end, but we must be careful with what we decide," the member state source told EUobserver. "We need a change and we need to be united on the next steps. No more divisive issues, or we'll see a further backlash in other countries and further growth in support for nationalists and xenophobes," he said. The search for the right EU response could oppose the geographic north and south, east and west, and the political left and right. 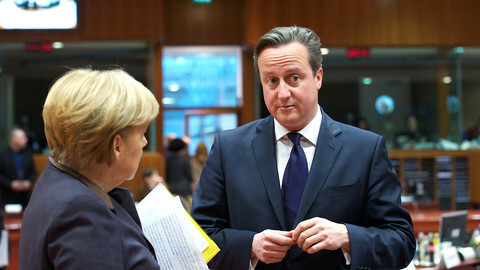 Moving quickly toward more EU integration seems to be ruled out. Calling for more integration "would be crude, many would rightfully wonder whether we politicians still hadn't understood [popular feeling],” German finance minister Wolfgang Schaeuble said earlier this month. "With what we saw in recent referendums in Denmark, Netherlands and now the UK, it would not be credible to come out with a big action plan for more Europe," the EU official said. The six ministers who met in Berlin recognised that there are "different levels of ambition amongst member states when it comes to the project of European integration." The decisions would not be a "binary choice" between less or more Europe, a European Parliament official told this website. On Tuesday morning, a few hours before the EU summit begins, MEPs will vote on a resolution setting out the parliament's position on what to do about Brexit. 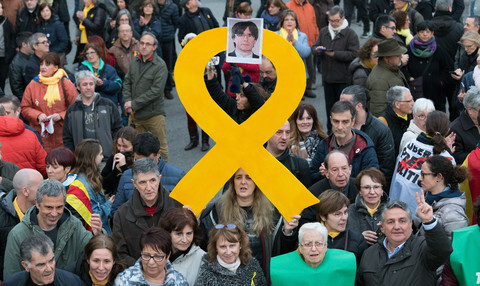 Political groups will finalise the resolution on Monday and will try to find a consensus that could also reflect the positions of national leaders. "On issues like climate change, terrorism, migration, economic governance, there is still room for more Europe," the parliamentary official said. But the political orientation might be harder to agree. On the left, Greek PM Alexis Tsipras has said that the EU’s crisis of confidence was due to "the democratic deficit, the enforcement of unpopular and unfair policies through blackmail, the dividing stereotypes separating Europe between the industrious and prudent north and the allegedly lazy and ungrateful south." He said that the EU now needed "a large progressive alliance" to secure "the protection of labour, the support of the welfare state, European solidarity, the protection of individual and social rights." 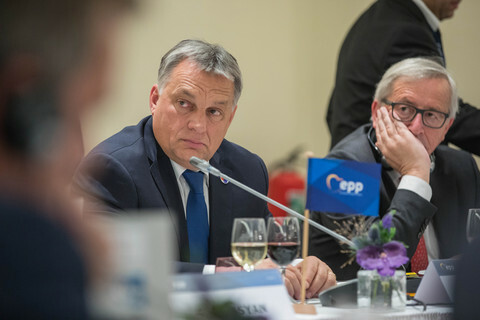 On the right, Hungarian PM Viktor Orban said that immigration was "a decisive and definitive issue" in the British vote. Polish foreign minister Witold Waszczykowski said that the "concept" of the current EU was "no longer popular in Europe". Next week’s summit is already pregnant with expectation. If the leaders do manage to agree on a reassuring message, they are unlikely to agree a detailed, step-by-step plan on what to do next. "We'll need another summit for that," an EU diplomat told this website. 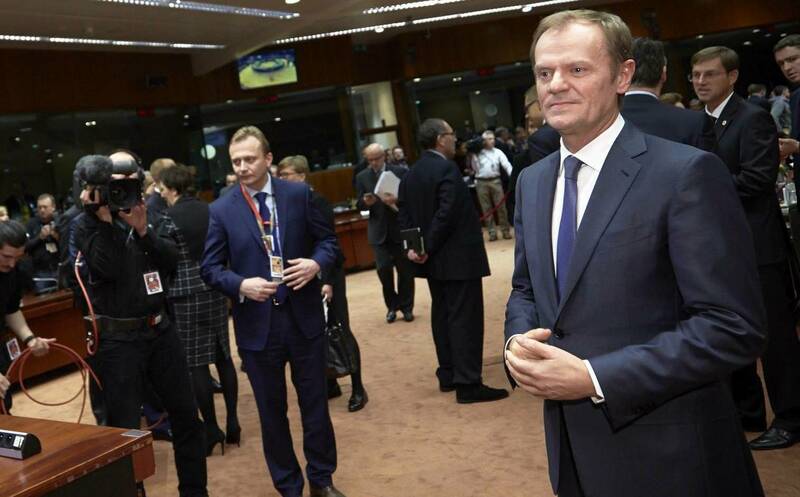 "At this summit, we'll have to show a calm way forward, especially for the financial markets”, the diplomat added. The German political elite is holding its breath before the UK vote: Brexit could mean Berlin would be once again forced to take the lead in Europe, something it doesn't want.